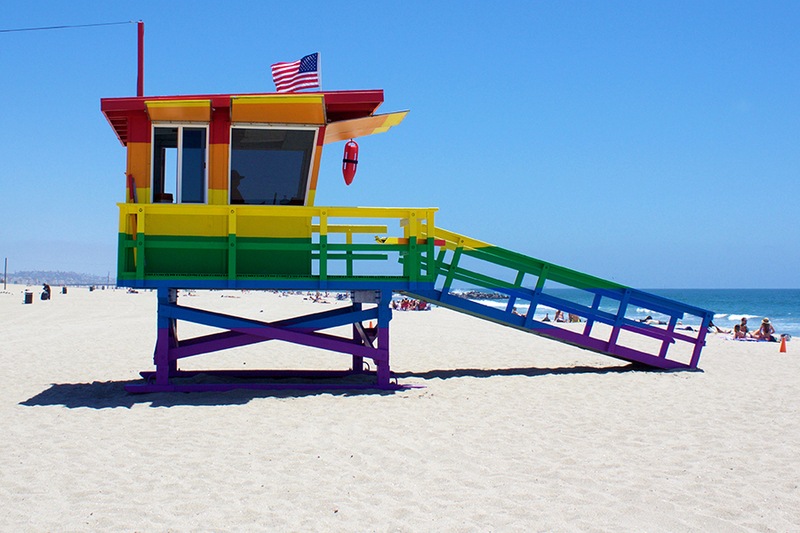 A new campaign hopes to save a rainbow Pride lifeguard tower from being erased. The tower, funded by Venice Pride in California, was erected earlier this year. But it will be “erased” on 8 September, and some people have set out to save it, and make the installation permanent. Colin Campbell started a Change.org petition to save the tower, which has been signed nearly 10,000 times. “Located at Brooks Ave. on Bill Rosendahl Memorial Beach in Venice, CA the Venice Pride Flag Lifeguard Tower has become a beloved destination for locals and tourists alike. In nine weeks thousands have flocked to photograph the dramatic tower and broadcast its powerful message of equality and inclusion to millions across the globe. On September 8th the rainbow-colored tower is set to be erased… forever. At a time when so much of what the LGBT community and its allies fought for is under attack, the L.A. County Board of Supervisors should save the Venice Pride Flag Lifeguard Tower by designating it a permanent public art project. 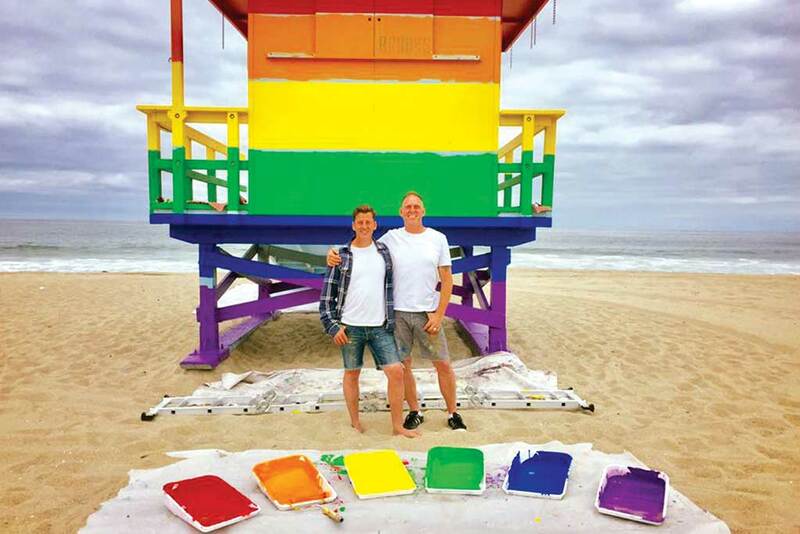 Funded by Venice Pride, a local non-profit dedicated to saving LGBT lives, and Dunn-Edwards Paints, the tower serves as an important visual reminder that Los Angeles will always welcome people no matter whether they are gay, straight, lesbian, bi, transgender, queer or questioning”.